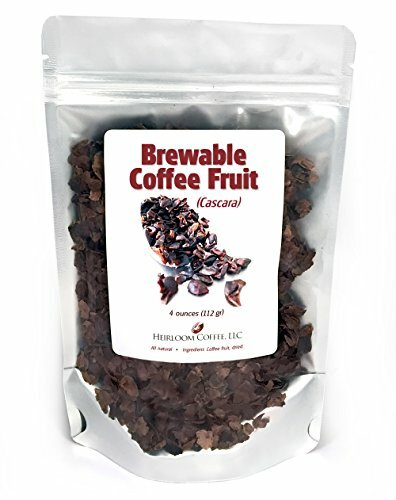 Also known as Cascara in South America, Qishr in Yemen, Sultana in Bolivia and Hashara in Ethiopia, Coffee Cherry Tea is made from the dried skins and berries left over after the coffee beans have been extracted. Not to be confused with cascara sagrada tea, which is the dried bark from the Californian Buckthorn tree and used as a powerful laxative, Coffee Cherry tea is more like a fruit or herbal tisane. How Does Coffee Cherry Tea Taste? Primarily grown between the Tropic of Cancer and the Tropic of Capricorn, coffee is made from the seed or bean contained within a fleshy fruit that looks a lot like a cherry. After the coffee beans have been removed from the fruit, the remaining pulp and skins are usually sun-dried before they are processed, packed and shipped. The dried Coffee Cherry tea looks similar to other teas, but the pieces are bigger and resemble dried raisins or nut shells, with a leathery or woody appearance. While this tea is considered relatively new on the market, the traditional use of coffee cherry tea as a beverage is thought to be older than the history of coffee consumption. One legend states that coffee was discovered centuries ago, by an Ethiopian goat herdsman, who made a tea out of the fruit, which eventually led to roasting the beans. Methods of preparing a cup of Coffee Cherry tea varies slightly depending on the region, such as Bolivia, where it’s made from sun dried, toasted coffee cherries enjoyed with cinnamon and Yemen or Ethiopia, where the tea is often steeped with ginger, nutmeg, cinnamon or caraway. It’s enjoyed in all sorts of different varieties, all around the world, from the aforementioned places, and in Brazil, and it’s gaining traction in North America too, in no small part to Starbucks introducing a Cascasa flavored option to their menu. In the coffee industry, the fruit that surrounds the prized coffee bean was considered a waste byproduct, usually repurposed for compost, fertilizer and mulching the soil or feeding livestock. Increasing demands for the dried husks of the coffee cherry has led to them being higher in cost than the coffee beans themselves, although it’s consumed more often than coffee in Yemen, where it is less expensive. Another region where coffee is grown and the tea is produced is Hawaii, which is considered an optimal location, due to its rich volcanic soil, climate and high elevation. Surprisingly, some say this tea has a hint of tobacco and that it has a mouth-feel of black tea. Once brewed, the color is much lighter than coffee and like other teas, deepens when steeped for a longer time. Although the tea does contain caffeine, tests have proven that it has approximately one quarter of the caffeine count, depending on how long it’s brewed and the source. Some consumers advise that they get more of a buzz from coffee cherry tea, which is more likely to be due to the high levels of antioxidants contained in the fruit. Just like coffee, there are different grades of quality and flavor associated with this tea, so it’s probably a good idea to try a few different samples to find what you like the best. Interestingly, the coffee cherries are also used in skincare, due to the rejuvenating properties in the fruit. Farmers who hand-pick their coffee fruit have younger looking hands, which is what led to the discovery. Even though the methods of brewing this tea is not standardized, it’s suggested that you use approximately 20 grams of the tea per one liter of water or one gram per cup. If the tea is in powdered form, use one teaspoon per 6 ounces of water. Steep for about 5 minutes, which will give you a dark red tea, depending on the brand or source. Another method is one or two heaping tablespoons per 8 ounces of water just prior to boiling. 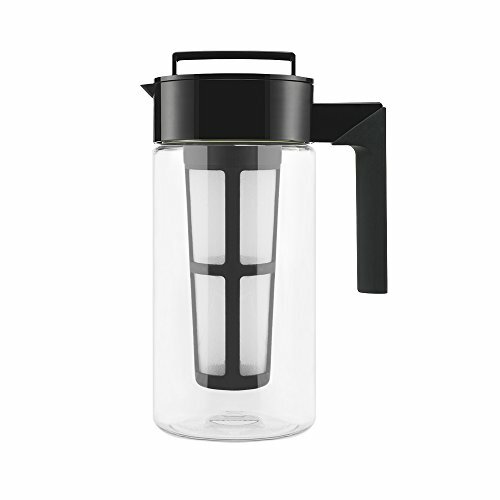 Some like to steep it in a French press while others prefer a tea pot or using a single strainer in a cup, unless it’s a tea bag version. You can add your own sweeteners and flavorings if desired, but like any tea, try it first before adding anything. Some like it with cream and honey, while others like to add traditional spices such as cinnamon or freshly grated ginger. You can also make it as an iced tea, with or without added spices or sweeteners. Strain and enjoy it straight or with lemon, sweeteners or other flavorings. Even though Coffee Cherry tea is somewhat obscure in the tea industry, there are several roasteries throughout the U.S., Australia and Europe. Several chains like Starbucks offer a version of this tea, so why not give it a try and see what all the fuss is about?